Ever since feasting on the freshest and best sushi we’ve ever had in Kanazawa at Otomezushi, Mr. Selfish and I have been a bit shy to eat sushi. 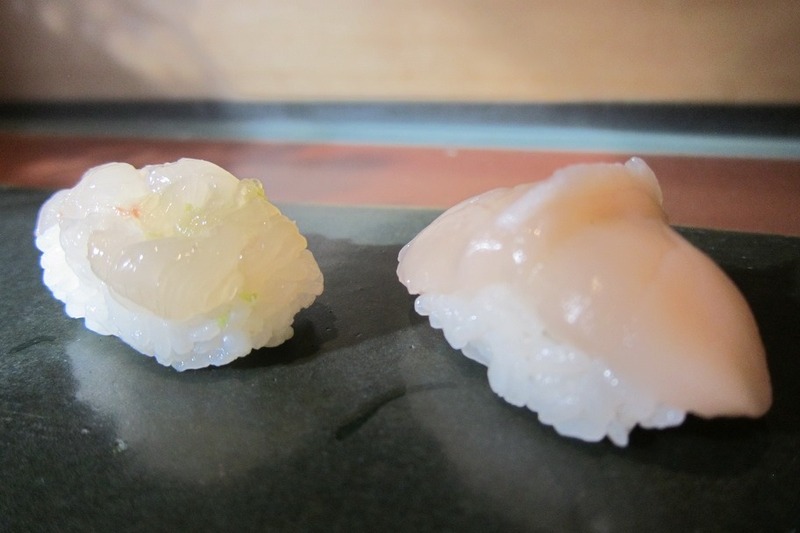 It’s all relative, and we know that most sushi won’t stack up to Otomezushi. We’ve mostly stuck to eating rolls instead of actual sushi since you don’t have to be as concerned with freshness. On our trip back to Japan, we figured that we would get our fill of sushi. 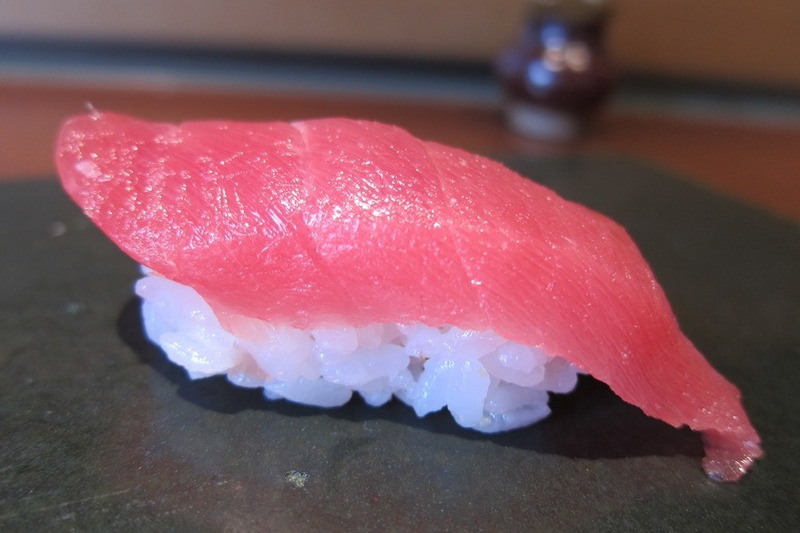 We had read rave reviews of a sushi restaurant named Uotoku (17-14-1 Imaizumi 1-chome, Chuo-ku) in Fukuoka, particularly about the sushi chef who had worked in Hong Kong and New York. We made a reservation for lunch, which is always cheaper for sushi, and had high hopes for sushi. 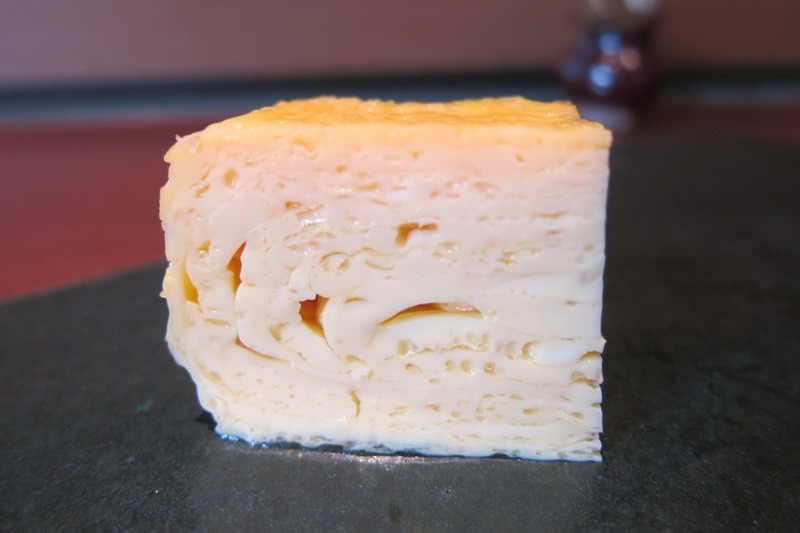 We opted for the chef’s selection and gave him a budget of about $35 USD per person. 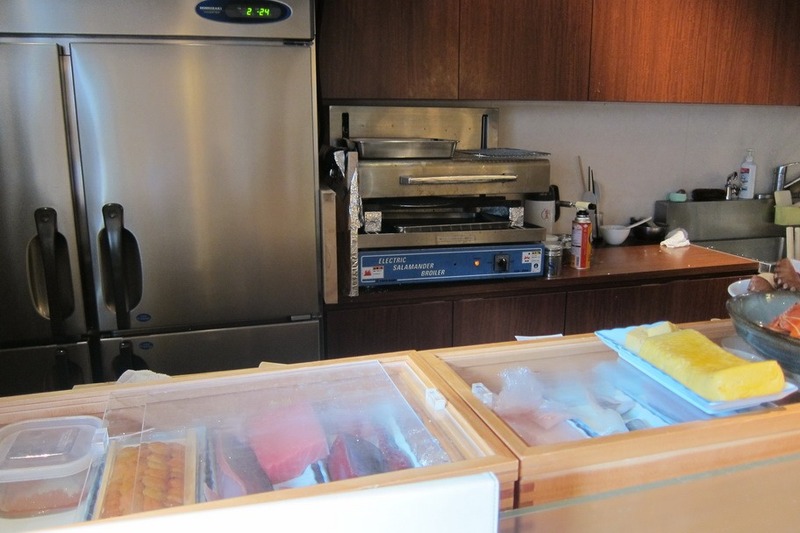 It’s always a good idea to trust the chef to choose the freshest and best sushi of the day. 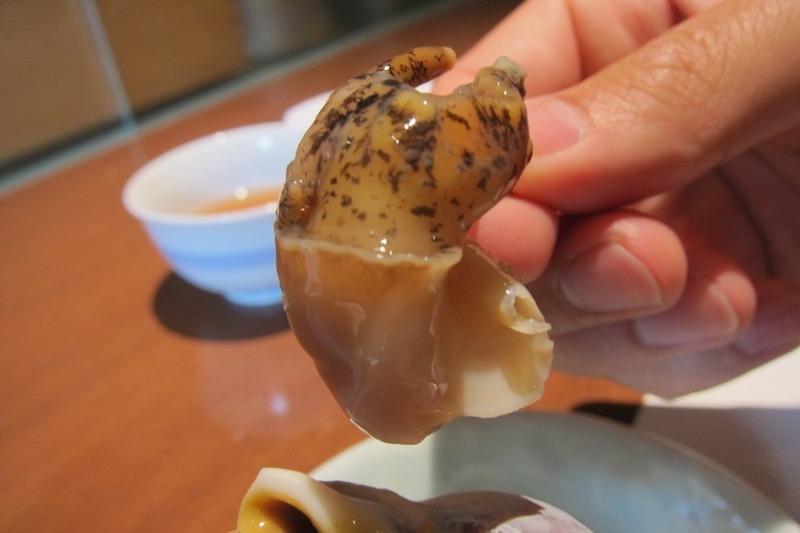 The first item served was snail. I wasn’t really expecting it, but it was pretty good and tender. 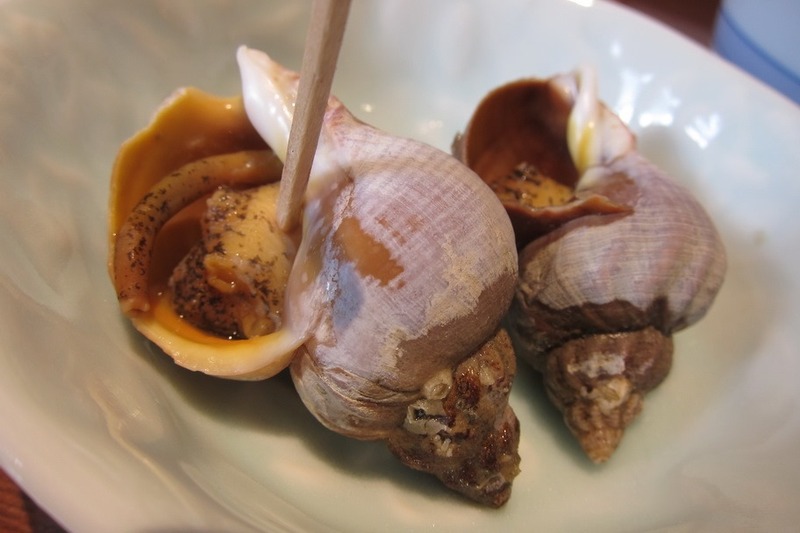 Mr. Selfish and I each received two snails and a toothpick to pry them out. The next item was pufferfish (fugu) and octopus. 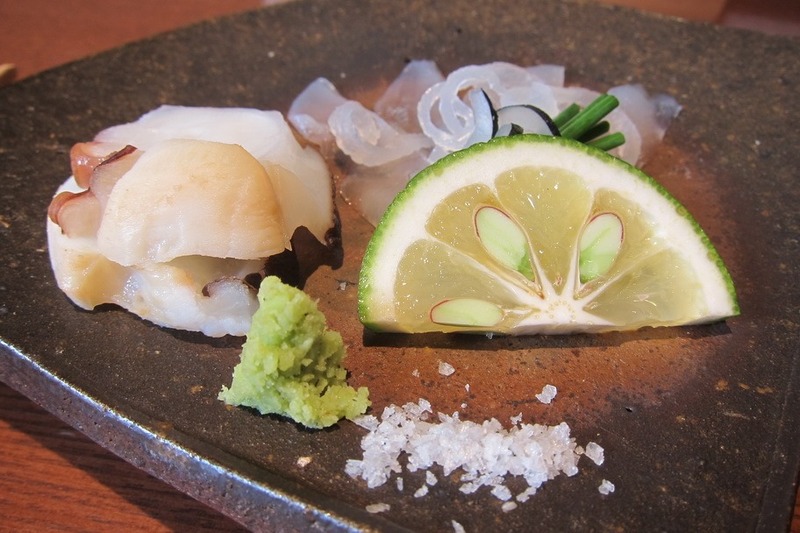 Mr. Selfish and I had looked into trying fugu on our previous trip to Japan. I found it quite fascinating that you could literally die from a bad cut of fugu but when I heard that it was just a very light white fish, we opted against it due to the high price. And I was right – it is very light almost flavorless fish. It was nice to try fugu but it certainly wasn’t full of flavor. As for the octopus, I thought it was pretty good but Mr. Selfish had a difficult time chewing it. 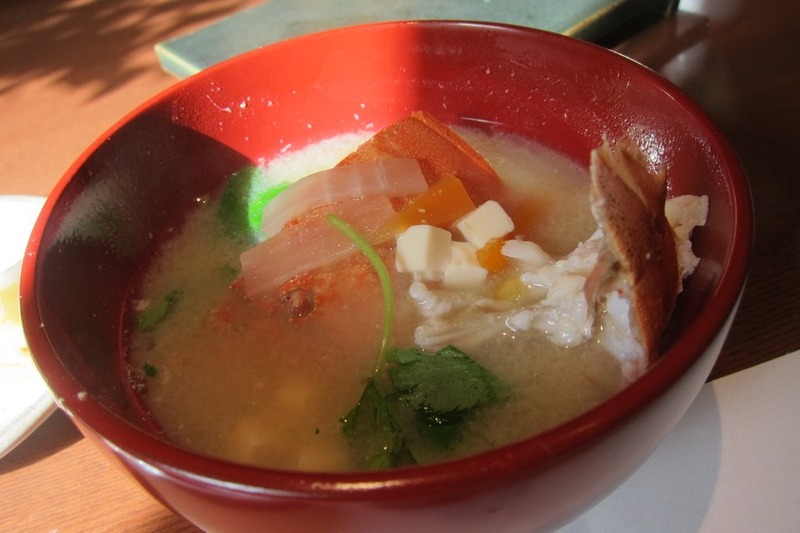 Third, we had a delicious bonita soup with tofu and shrimp. The chef explained to us that this soup was quite hard to cook and went through multiple iterations of cooking. Whatever it was, it was quite tasty! 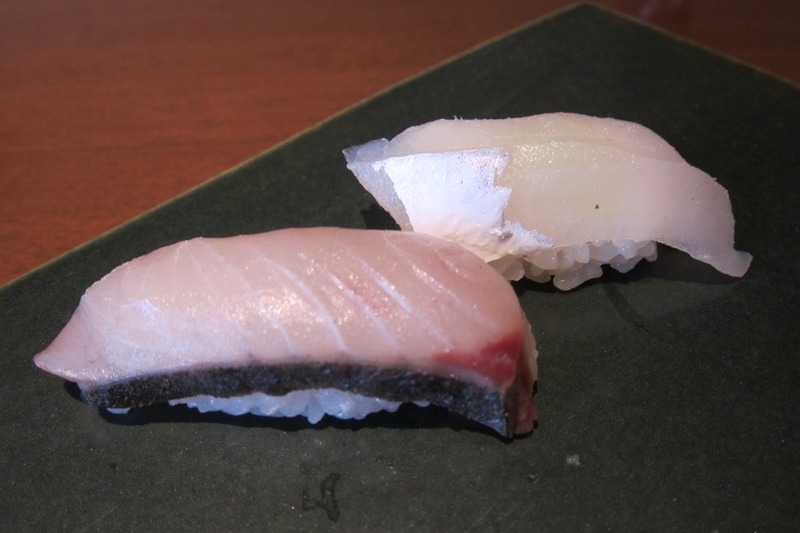 Next up we enjoyed a series of fresh sushi – seabass, mackeral, and tuna. As usual, the tuna was my absolute favorite. It just melted. 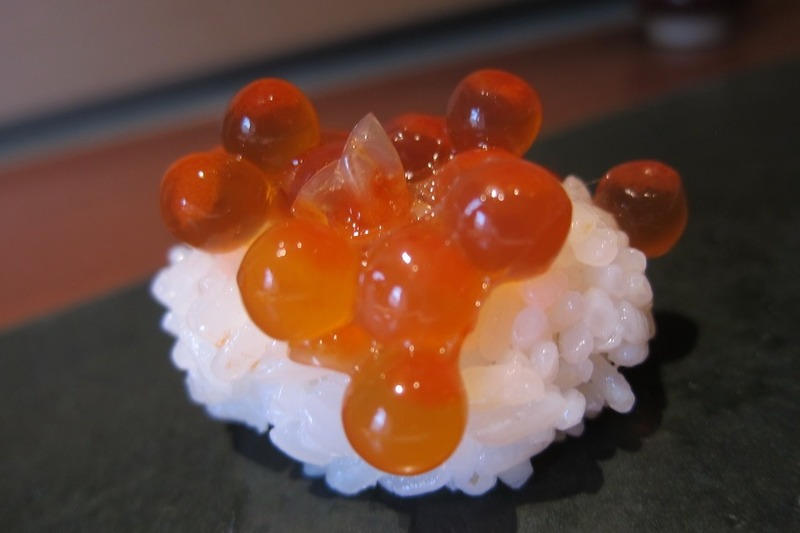 Then, we had the salmon roe, which has a very pleasant sensation of bursting in your mouth, and the egg. Both were quite well-done. To signify the end of our meal, the chef served us miso soup with crab. 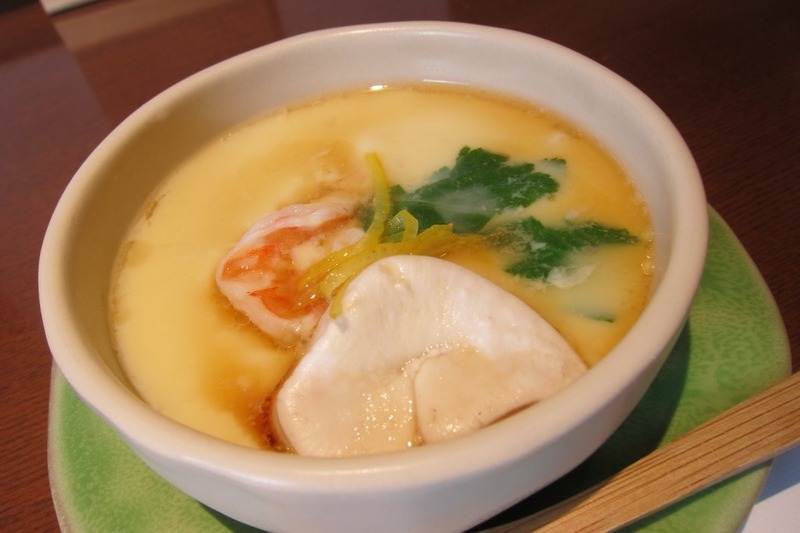 This was the good stuff; you could tell that it wasn’t made from a miso powder. 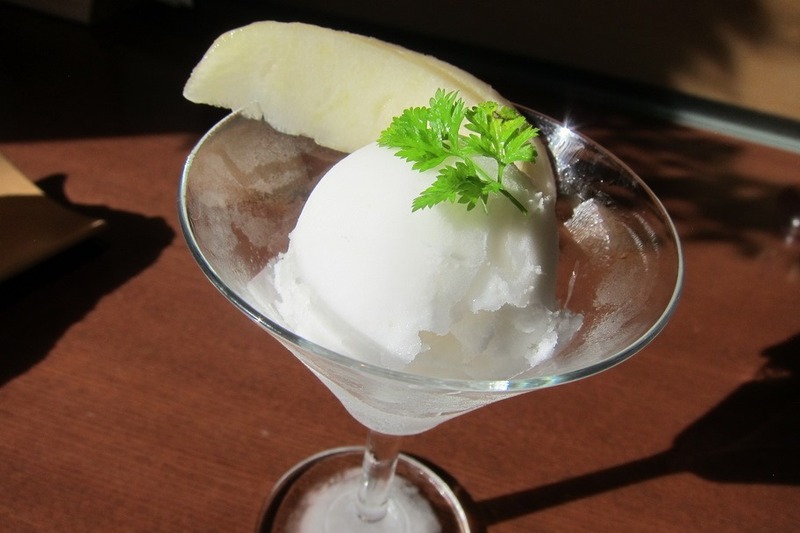 Finally, we opted for a dessert and had some simple but yummy pear sherbet. 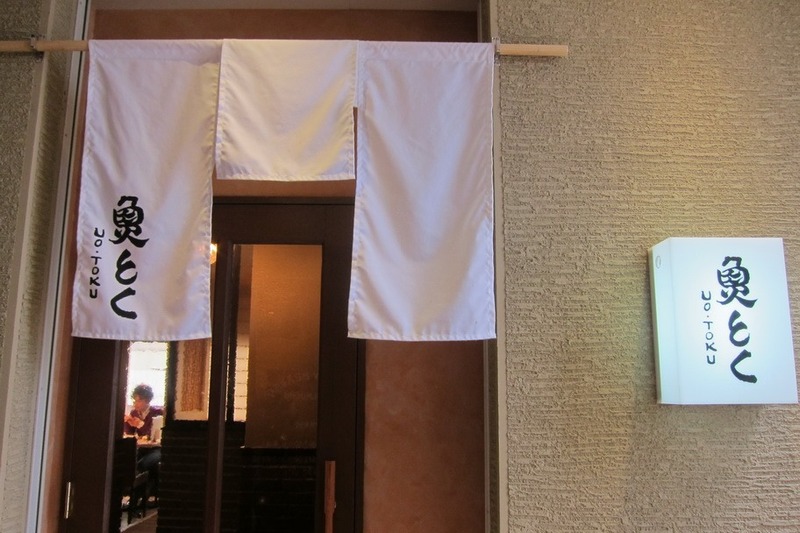 Although Uotoku wasn’t as good as Otomezushi, I highly recommend it for sushi if you are visiting Fukuoka. The sushi was fresh, and the chef was informative and excellent in his selection.